Can You Save 50% In Your Energy Bill With A Space Heater? Can you save 50% with a space heater? The Handyguys discuss this and also discuss a listener question. Question: Jennifer had some questions about a door that wasn’t hanging straight. Her issue was that the screws were pulling out of the jamb. This is usually an easy fix. Unfortunately for Jennifer it wasn’t, as her circumstances were a bit unusual. 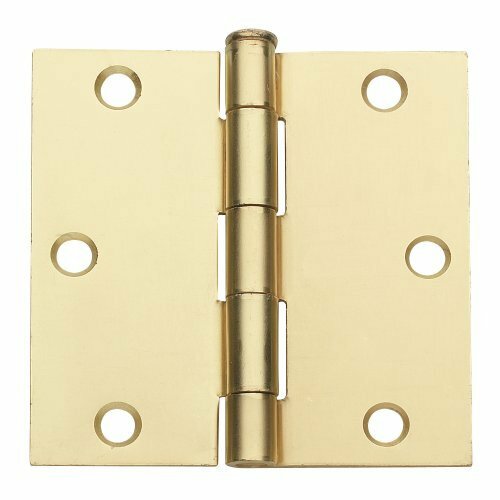 The Handyguys discuss some of the more common solutions for repairing a door that has come off its hinges. Lisa from Condo-Blues Wrote us and said: …for your next show on space heaters, you might want to consider talking about passive solar heat. Esentially it’s opening the curtains, blinds whathave you on the south facing windows of your house in winter during the day. My bedroom has a pitched roof (pretty when we looked at the house. Pretty awful to heat in winter.) this room is always cold in winter and could use a space heater. But I had concerns out pet safety so I tried opening the shade on the windows to see if this passive solar thing would work in overcast Ohio. I kept the shades rasied during the day, while I was at work and lowered them when I got home from work. I was pretty skeptical but it did heat the room up enough that it wasn’t freezing at bedtime. So I saved myself some bucks on buying a space heater for winter and paying for the extra electricity to run it. The Handyguys have a lengthy discussion about what kind of money (if any) you can save by utilizing space heaters in your home.Â One radio commercial reports up to a 50% savings on your heating bill!Â The Handyguys doubt you can saveÂ 50% on your energy bill unless you are prepared to make some significant lifestyle changes and you live alone. The Handyguys also compare those high priced, heavily advertised, space heaters with some heaters with more down to earth prices. 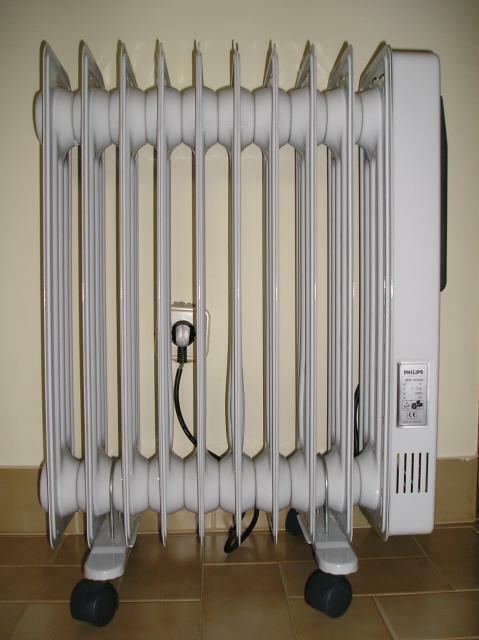 There are two main types of heaters. Convection and radiant. Each have its pros & cons. A few that The Handyguys like and discuss are shown below. We wrap up talking about fireplace style heaters. Sorry to those folks that may have one as we sort of make fun of them. The one we found at Amazon has great reviews. Check it out if you want an electric ‘fireplace’ heater. – Please consider making your purchase through these Amazon links. Your patronage helps keep The Handyguys Podcast on the air. Thanks for listening and don’t forget to vote for us in the Bloggers Choice Awards. Thanks for the info Mitchell. I have experience use space heater for more than one year, and I don’t find serious problem so far. It can work so efficient as long as we operate and do the maintenance properly. haha, yeah. 50%. I could save 100% if I turned off all heat completely! Its all about what you are willing to live with. ha, thanks for sharing that story. I’ve had experience with space heaters, and they can save money depending on your household, and living conditions. When I’ve lived on my own, in one room apartments, they saved me a bundle. Especially when every room has a door, and can be closed off when not in use (being on a second, third, fourth, etc., floor may have an effect, too, idk, and don’t really think so). When I wasn’t home, I would turn all heat off. Shopping, work, visiting friends, and family. When I was home, I kept the heat at about 65-68 degrees, and finally when I went to be at night, I would turn the heat off in the rest of the apartment, and keep just the one on in my room with the door closed, set at about 55-60 degrees. Just enough that I wouldn’t freeze, and/or see my breath in the morning. I always wore socks, long sleeved shirt, and slippers when I was up and moving around. When ever I cooked, or baked, I’d “harvest” that heat, as well, lol. I even purchased one of those kits for an electric dryer to be vented inside during heating months. They work great, and provide a lot of heat. Very economical. My electricity bill stayed between $40 and $60 dollars a month. When I lived in a house with 6 bedrooms, and 7 room mates, after some discussion, and realizing the price of heating oil during the 2009-2010, 2010-2011 heating seasons we decided to forgo using the furnace, and instead heat with electric radiator space heaters. They did just fine. Economical, because the heating element inside the heaters heats up, heating the oil that surrounds them, thus radiating the heat into the room. That way the electric isn’t being used a lot to heat, it’s mainly just the oil. Anyway, the electric bill went from about $175-$200 a month to between $400 and $500. Sounds like a lot, but when compared with a $250 a month electric bill (to run the furnace, the electricity that’s used) and about $700 a month in heating fuel, we were saving between $550 and $450 a month. In the current place I’m living, there’s an updated furnace, smaller sq footage, and fewer people. We’ve decided we’re going to go with using the furnace at about a 60-65 degree setting, and have “supplemental” heating with space heaters through out the house (the two bedrooms, and probably one downstairs, the dryer only when we use it, and the heat from cooking, and baking). We won’t be cranking the space heaters, just enough to maintain a 68 degree temp., and if it happens to dip, the furnace can kick on, bring the temp. back up, and it won’t run as much. The electric will be higher, but the gas will be lower, and electric in my area is cheaper than gas. Lastly, space heaters off when we aren’t home, and furnace down to 50, and at night space heaters in bed rooms with doors closed, and the furnace set to 50 or 55, we may even just turn it off at night. That’s my advice, lol. Does anyone else do the same, or have other ideas? J – It sounds like you are an ideal candidate for saving money with a space heater. You can only save with space heater if you dont want to heat every room in your house. Using space heaters might require you to do compromises. But if you spend the most of a day in single or two rooms it is worth to consider using space heaters instead of central heating. Another important question is wether to use convection oil-filled heater or infrared heater, but this convection vs radiant heat comparison can help you find the optimal space heater choice. If you can avoid these systems I would recommend them. They are more of a gas gobbler than anything else. Unless you dont have sufficient central heating or boiler heat of course. Yep, of course if you only want heat in one room then maybe you can save some money.